The Bratz take their style inspiration from anywhere, and that includes their kawaii cute spirit animals. 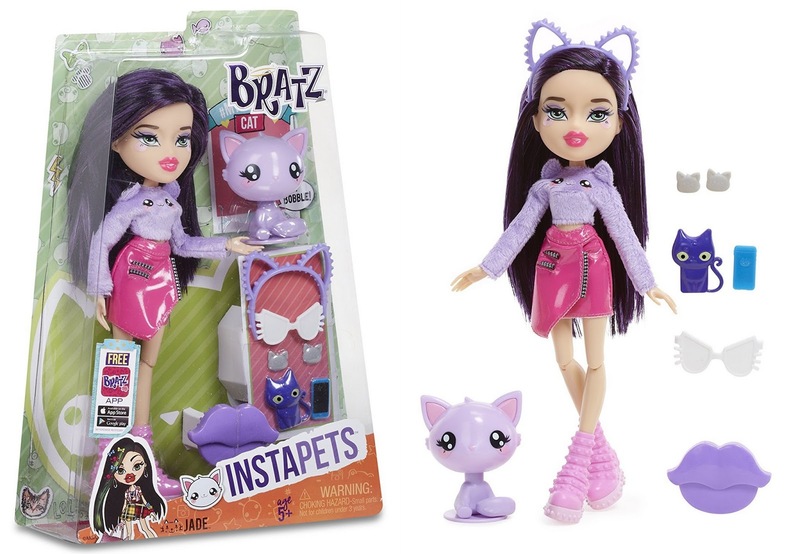 There are 5 different dolls, each with their own pet and matching accessories. Cloe is a bit of a pig fan, not the most likely choice, however it's suitably cute and makes a great bobblehead InstaPet. 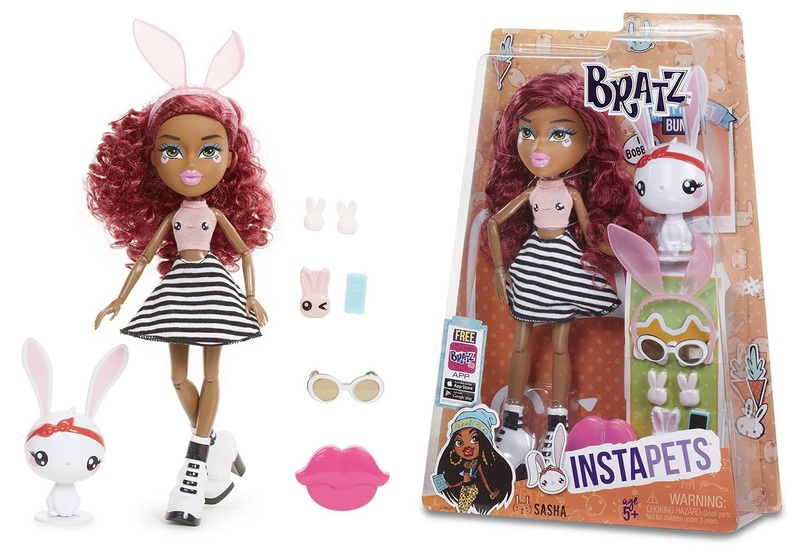 Sasha's spirit animal is Bunny, and her accessories even include a little bunny phone case - all the dolls have a matching phone and animal case. I'm liking the colours for Jade, the purple is very nice. Her animal ears headband is pretty too, and matches her sensible Winter jumper. 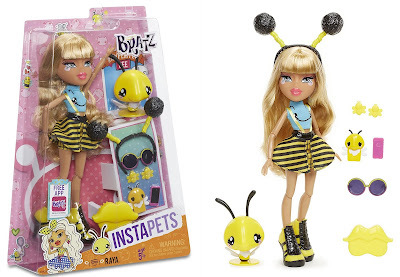 Finally we have Raya and the most terrifying of all spirit animals - the bee. Obviously they get scarier the more you are allergic to them. I rate them an 8. All the Bratz InstaPets dolls are the now familiar Bratz characters, with super long silky hair and giant feet! This collection is all about showing off your adorable pet by snapping cute pics, or dressing head to toe in an outfit inspired by your spirit animal. 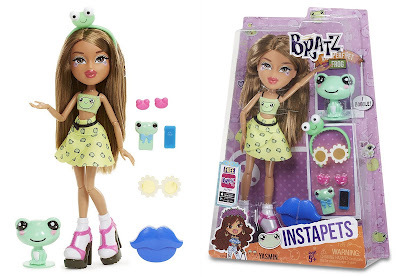 Bratz InstaPets are suitable for age 3+ and available to buy now rrp £19.99. 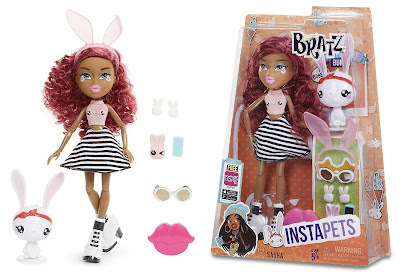 From all good toy shops instore and online including Amazon. 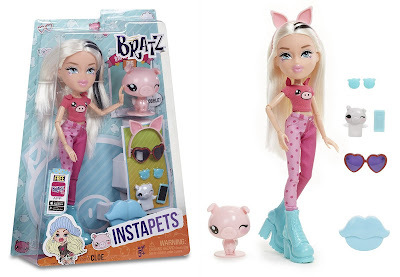 Bratz have kindly offered one Bratz Instapetz Doll chosen at random as a prize in my Christmas Present Giveaways. Entry to the giveaway is by Gleam form below, it is open to UK entrants only and will end at midnight Sunday 4th December. 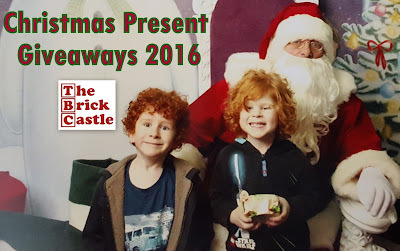 For help with Gleam and to see all of my Christmas Present Giveaways, please go to my Giveaways Page. Full terms and conditions at the bottom of the Gleam form. I would dress as a mouse and take a a cheese and biscuit giftset! I would go as a squirrel and bring a present of chocolate covered nuts. What a amazing prize, My Nieces would enjoy this. Thank you. I'd go as a wolf and take them a certificate for an acre of land on the moon. I'd go as a monkey and take some bananas. I'd go as a flamingo and bring them some long, green legwarmers. I would go as a cat and take a box of cat biscuits! I'd go as a snake & take some chewy snake sweets! I dress as a chocken or goose and take a golden chocolate egg to the host -is yhis classed as an animal ! Will dress as a Reindeer and will bring a lot bunches of carrots. I would go as a cat and take some Milk! I'd turn up as a monkey and my gift would be a box of magic tricks. I'd have to go as a Hippo & take a bucket of mud to make a wallow. I'd go as a rabbit and take a bunch of carrots! I'd go as a bear called Yogi and take a Pic-a-nic basket. I would go as a wolf and I'd take a photo of me and the guest in a frame as a present to show she's one of the pack! i would go as a mouse and take cheese & crackers! I would choose to be a tiger, fierce defender of their young and the ability to do it with style. I would go as a frog :) and take a trampoline as a present! I'd go as a hippo and take a kebab! I would go as a cat and take a mouse! I'd go as a Panda and take some Bamboo! I'd go as a parrot and my gift would be a box of crackers! I would go as a bear and take the host some honey. I'd go as a cat and take some Catnip. I'd go as a dog n take huge bone! I would go as a llama and take a box of tissues. I'd be a cat and I'd bring a bowl of cream! The cat that got the cream! I'd go as a dog and take a big bone! I'd go as a monkey and take some nuts! I would dress as a Unicorn and bring glitter.